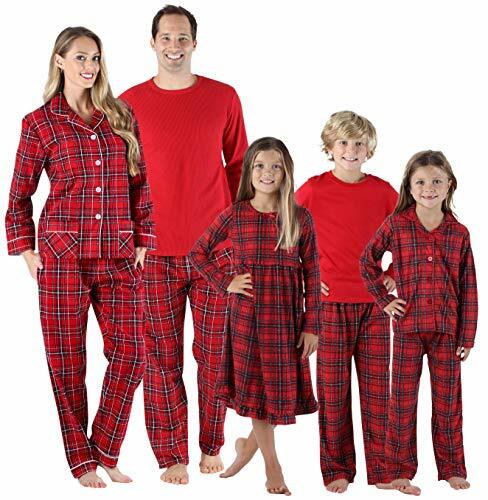 One of the things we have always done for the kids for Christmas is give them a new pair of Christmas pajamas. 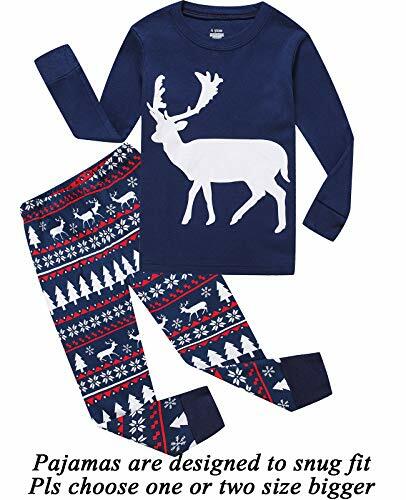 Sometimes they are Christmas themed, other times they are just a fun new pair of pajamas. 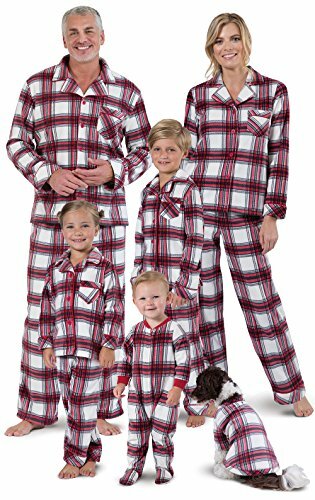 It totally depends on if I get the pjs early enough before the stores start selling out of the sizes I need! 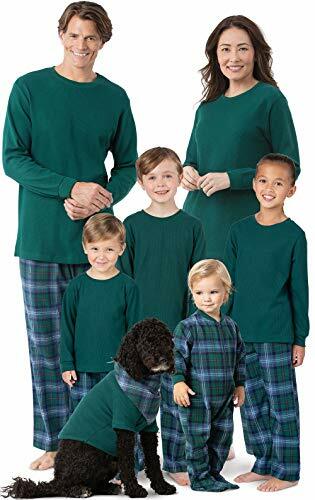 My favorite year was the year that I got Christmas pajamas for the whole family. My goal is to do that again this year. 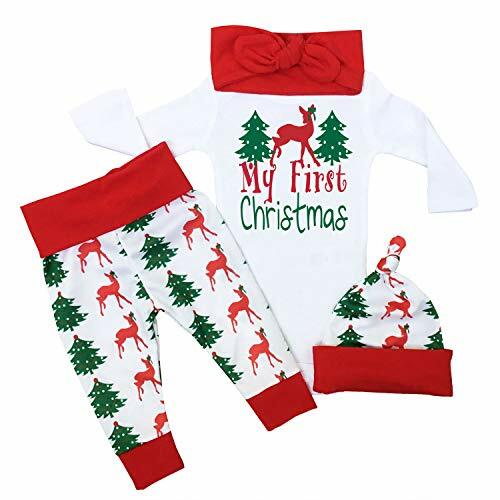 I still remember the adorable baby pajamas I got for my son for his first Christmas. That was 14 years ago. 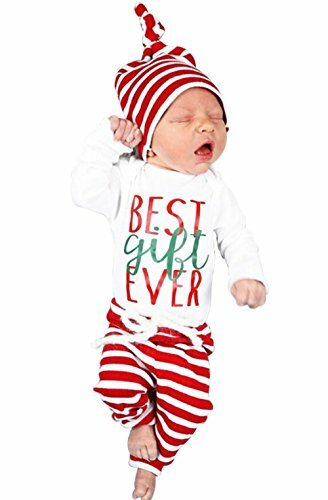 Back then, it seemed like there wasn’t that many cute baby boy stuff. Not like today. 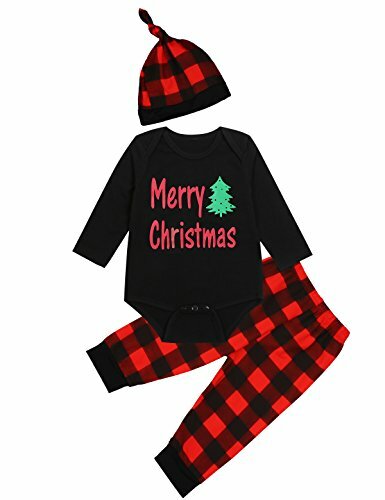 While I was able to find a super cute pair of pajamas for him when he was a baby, the stuff they have now is great! These are a few of my favorites! Aren’t they cute?!? I honestly don’t know which one I would pick! 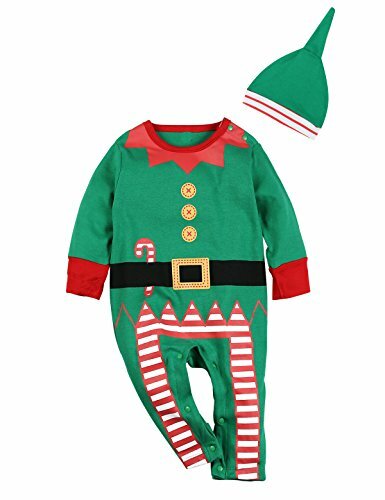 I have a little baby nephew and he would look so cute in any one of those (the ones for boys, that is)! 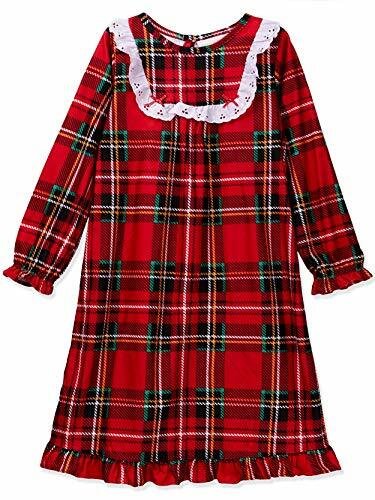 When my daughter was a toddler, she really wanted a long nightgown. 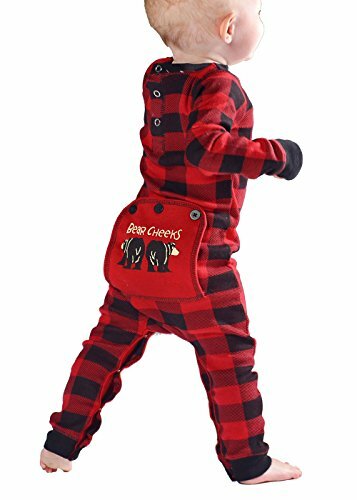 So we got her a red plaid one just like the one pictured below. We even found one to fit her favorite doll! She loved it! When it comes to toddlers, you want to find something they are interested in. My son loved dinosaurs when he was little. 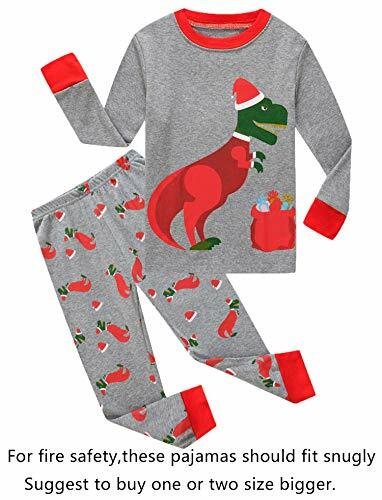 He would have loved those dinosaur Christmas pajamas. 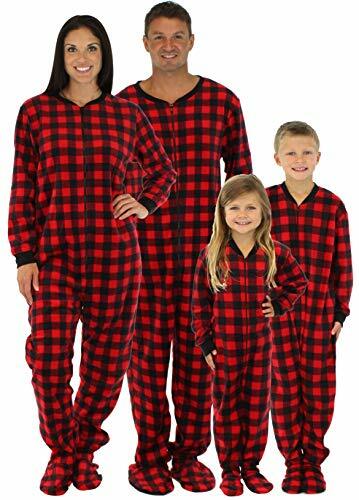 Like I said before, my absolute favorite was when I got matching Christmas pajamas for our whole family. It was fun and our pictures were super cute! 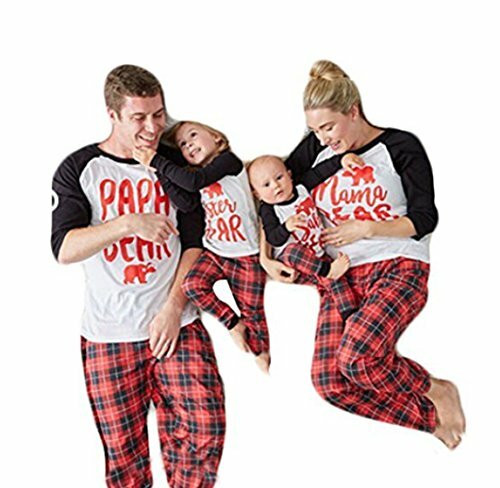 Some of these family matching sets even have pjs that you can buy for your dog! Don’t leave your dog out of the fun. Well…unless your dog tries to tear apart the clothes you put on them…then you may want to forget about the dog! 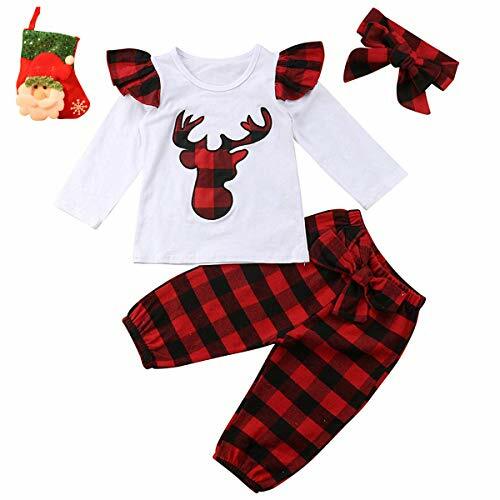 One of the things we do with the Christmas pjs is we wrap them up and give it to the kids on Christmas Eve, along with a board game and sometimes a movie that we can watch together on Christmas Eve. It’s a fun tradition and one that we all look forward to each year! 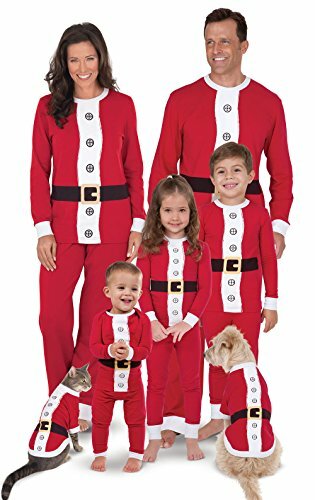 What fun Christmas traditions do you have?